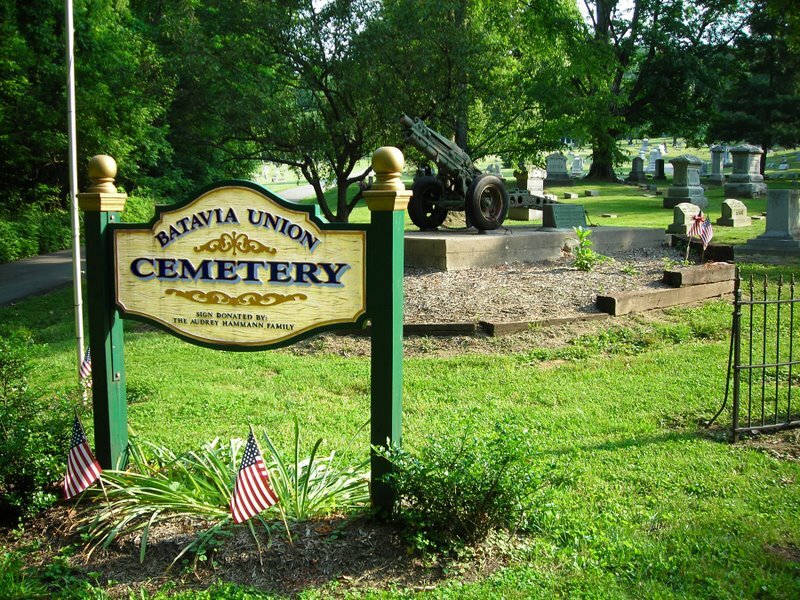 Mrs. Marjorie Parham, step-great-granddaughter of John Burrell, stated he was buried in the Batavia Union Cemetery 85 years ago. She was 5 years old when he died. 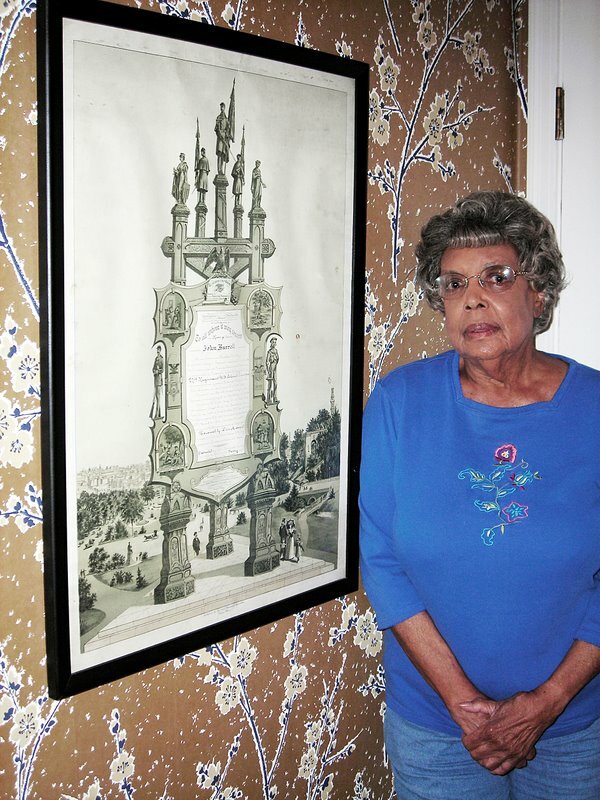 Mrs. Parham is pictured standing next to a framed 1897 document which details John Burrell's military service. 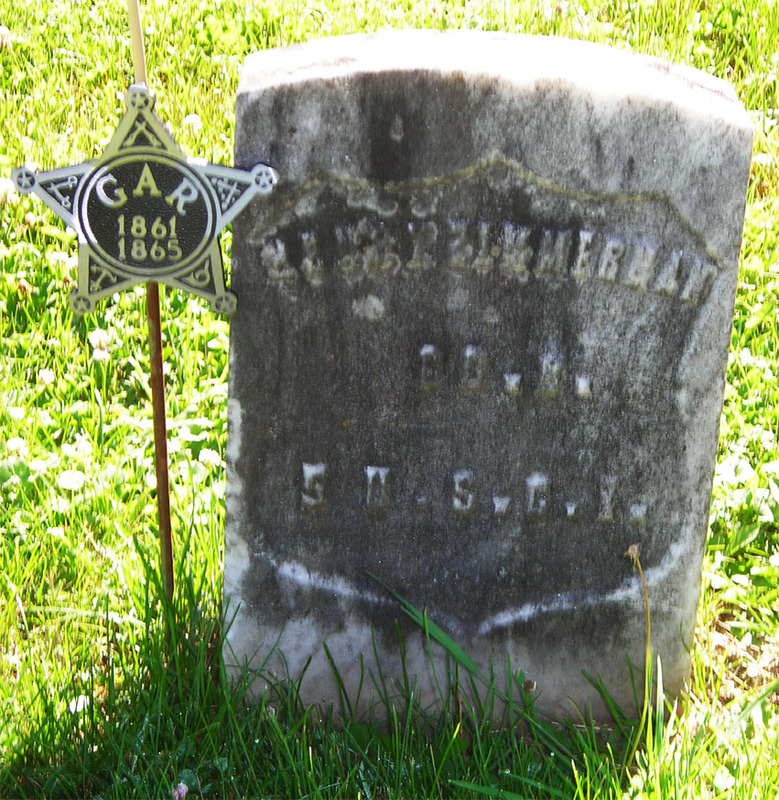 Text of the document says Mr. Burrell (pronounced "Burl"), who was born in Bracken County, KY, enlisted and mustered into the 27th USCT Regiment on August 6, 1864. 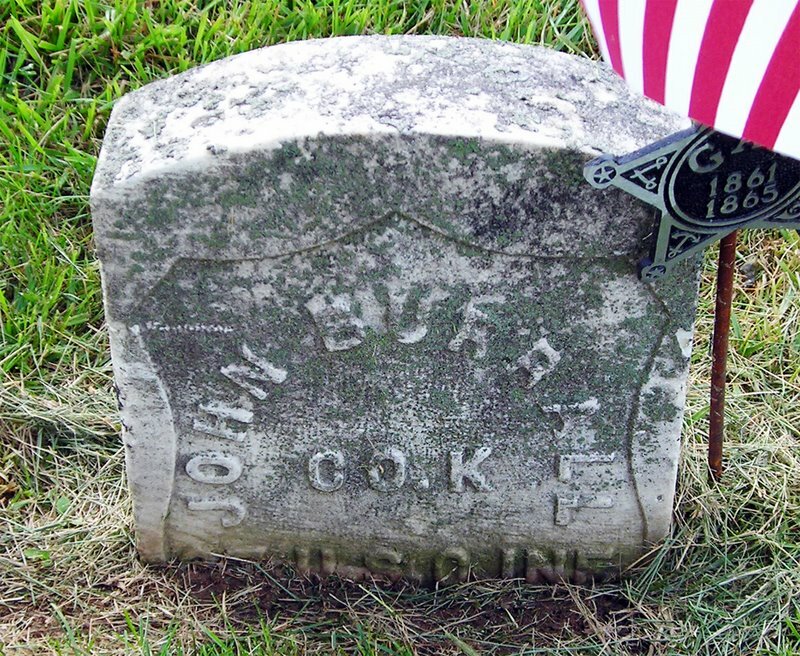 During his service, John Burrell "engaged in the following battles:" Weldan R. R. VA, August 18th-19th, 1864; Fort Harrison, September 28th-30th, 1864; Hatcher's Run, October 17th, 1864; the fall of Fort Fisher, North Carolina, January 13th-15th, 1865; Wilmington, North Carolina, February 23rd, 1865; and Goldsboro, North Carolina, March 21st, 1865. 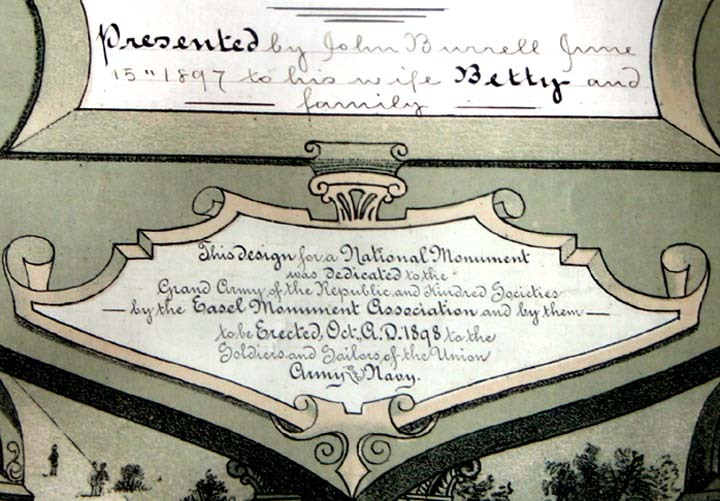 John Burrell was "honorably discharged" on September 7th, 1865 at Newbern, North Carolina.